He is 21, dressed in a Hawaiian shirt with a cotton bomber jacket and button front denim jeans. 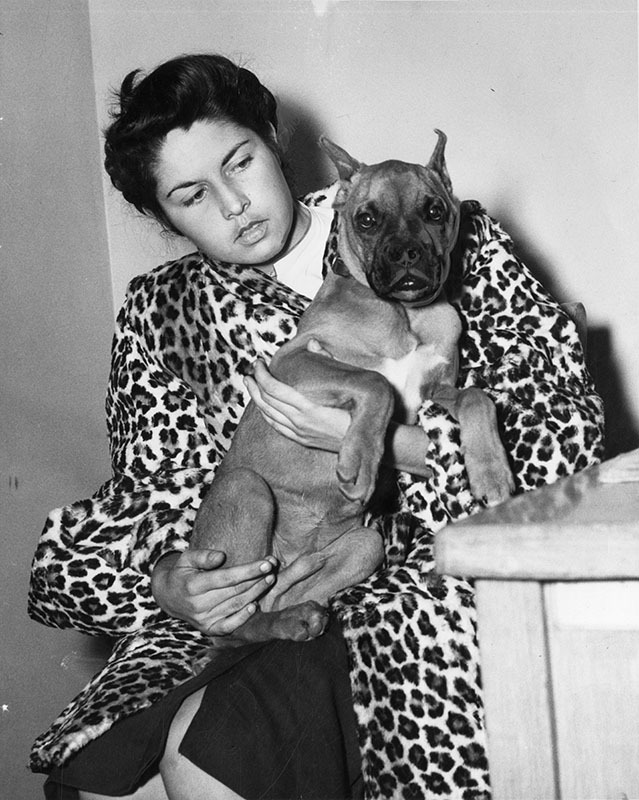 She is 19, holds a Boxer pup and wears a leopard print coat and appears somewhat sad and disturbed. They are Alvin and Beverly Turnmire, recently married. 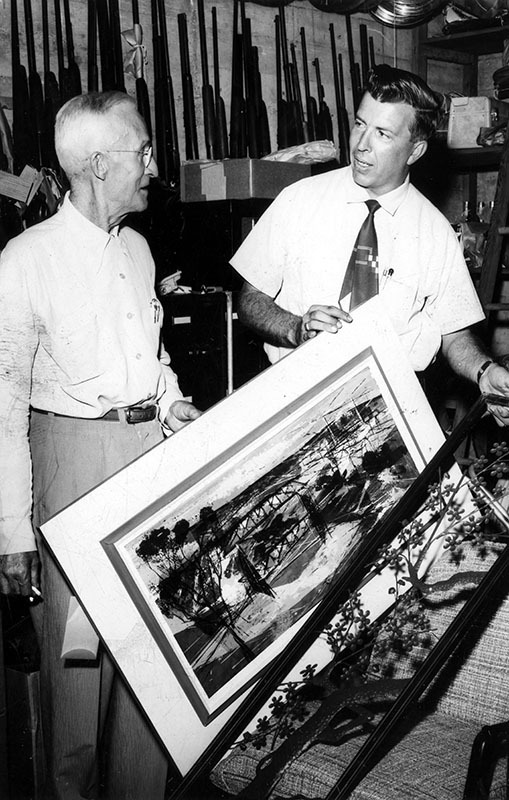 Their address is a home in Studio City at 4232 Goodland Ave. near the golf course. They probably live with his parents, but they want to get out and get an apartment. 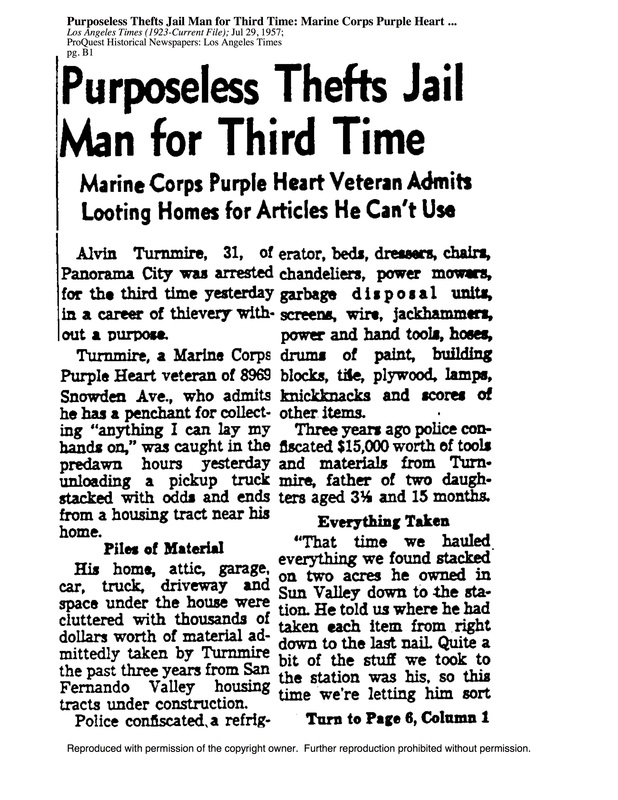 And Burbank police said they committed a string of burglaries in order to furnish their new place. 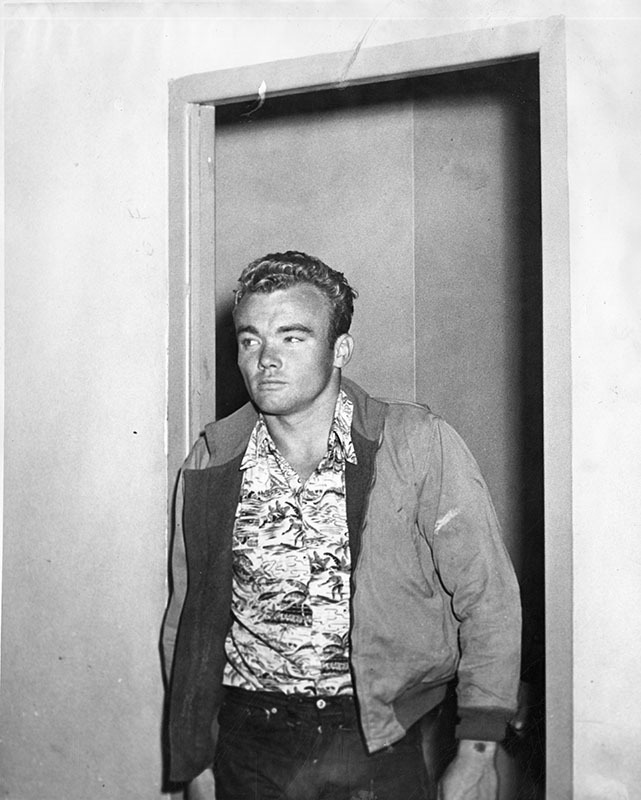 November 5, 1947 is the date of their arrest. They were caught 71 years ago, and are probably dead. But their reincarnated young beings still walk Ventura Boulevard. Studio City people: in love with dogs and exotic clothes, chasing goods and desires beyond their reach, a place of happiness and meltdowns, a magnet for dreamers, a trap set in the San Fernando Valley for aspirational types who fled from somewhere else, a district where many survive by impersonation, wearing costumes and carrying animals and evading responsibilities. 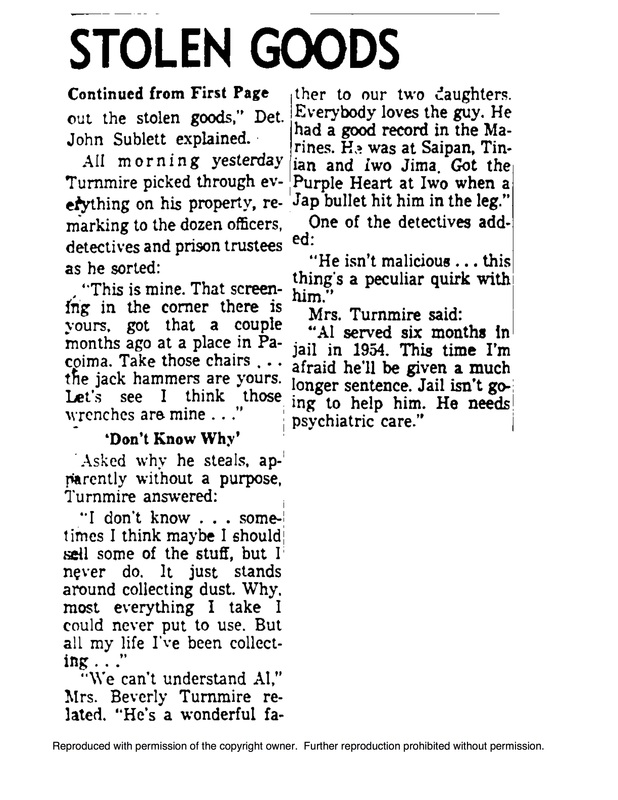 And then Alvin Turnmire, 27, is arrested seven years later. For white people back then there were always second chances. 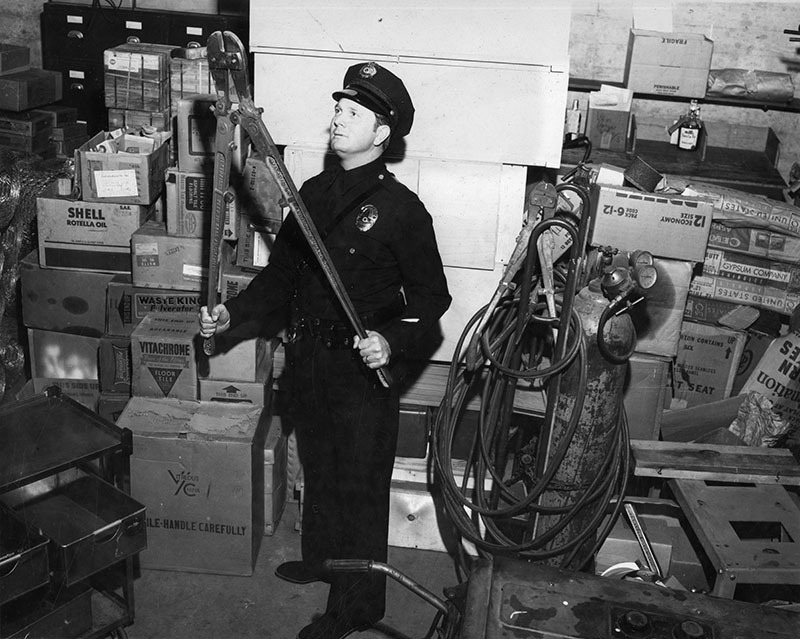 1957: Cops with stolen loot. ← Walkable Places You Drive By.